This was the perfect place for the four of us to stay! It was so functional, yet spacious enough for two couples to share comfortably. It was a wonderful stay! Spacious apartment, view, well furnished, very comfortable beds. Location was great beside the Vondelpark and easily accessible - hard to find though initially as Nameplate not very visible. Great local restuarants available - particularly recommend Incanto off Amstel near Singel. Good location, close to shops, restaurants and public transport. A nice apartment with potential - it's just quite tired and in need of a repaint. Comfy beds and nice shower. Good location - can walk to most places. The apartment was in a great location; the city centre is easily accessible either on foot or by tram, but the area is much quieter. The facilities were excellent and the apartment was very nicely decorated/furnished. Fab location. Bike rental a stones throw, supermarket round the corner easy access to airport bus. The check in at the airport was great we had 2 apartments and the lady at the check in desk only had keys for 1 apartment a couple of phone calls and all was sorted with a smile the keys were waiting when we got there. Beds very comfy, shower lovely the basics that we needed. The cleaners even helped carry our bags down the stairs at the end of our stay! Position, cleanness, coffee machine, general extras in apartment. Nice decor ..quietness. 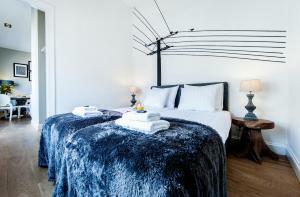 Lock in a great price for Vondelpark Apartment Suites – rated 8 by recent guests! These modern suites are only 550 feet from Vondelpark and boast a cozy living room with flat-screen TV and a DVD player. They also feature free Wi-Fi and bright décor. 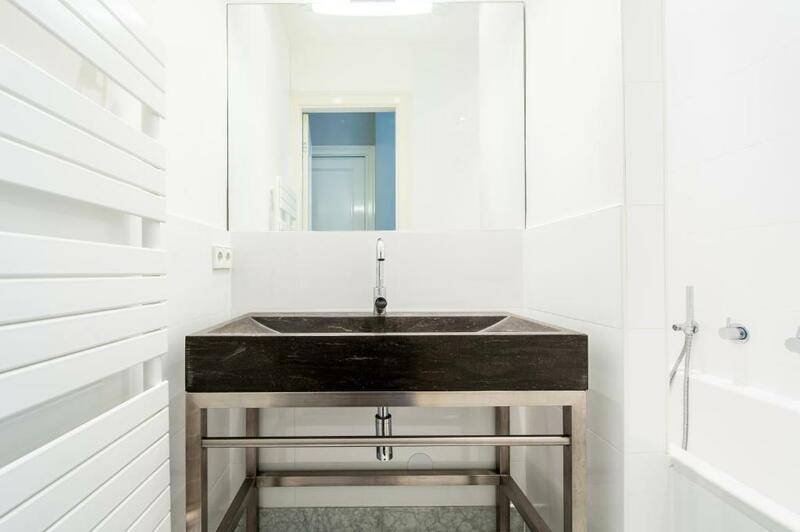 Each of the Vondelpark Apartment Suites has a bathroom with a heated towel rail and one bedroom. The kitchen area includes a gas hob, a dining table and a dishwasher. Overtoom tram stop is less than 350 feet away. Leidesplein is a 5-minute walk from the suites. The Museum Quarter, featuring the Van Gogh Museum and Rijksmuseum, is 2,650 feet away. Oud West is a great choice for travelers interested in museums, culture and walking. This is our guests' favorite part of Amsterdam, according to independent reviews. In this area you can shop 'til you drop for popular brands like Apple, Cartier, Tiffany & Co, Hermès, Ralph Lauren. 뀐 Located in the top-rated area in Amsterdam, this property has an excellent location score of 8.6! When would you like to stay at Vondelpark Apartment Suites? 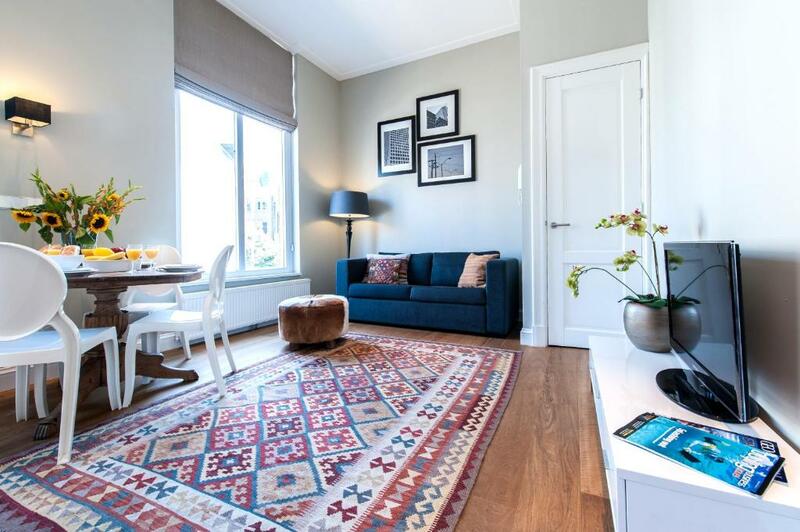 A modernly-decorated apartment which has an open-plan kitchen with 2-hob stove and microwave/oven. The living room features a sofa, dining table and flat screen TV with DVD player. The bathroom has a shower. Public parking is available at a location nearby (reservation is not possible) and costs EUR 5 per hour. This modern apartment has an open-plan kitchen with 2-hob stove and microwave/oven. The living room features a sofa, dining table and flat-screen TV with DVD player. The bathroom features a shower and a separate toilet is located in the hallway. This modern fourth floor loft features a well-equipped kitchen, seating area with flat-screen TV and DVD player. The bathroom is fitted with a shower or bath and toilet. 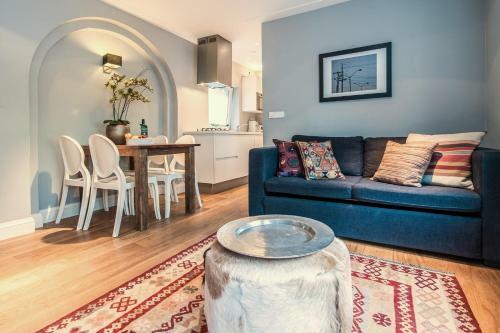 The bright apartments offer a living room with a sofa, which can be transformed into a comfortable double bed, a fully equipped open plan kitchen, a bedroom and a bathroom. The apartments are suitable for four persons. Short Stay Group offers a homely welcome to corporate and leisure travelers looking for an alternative stay in the vibrant centre of Amsterdam. 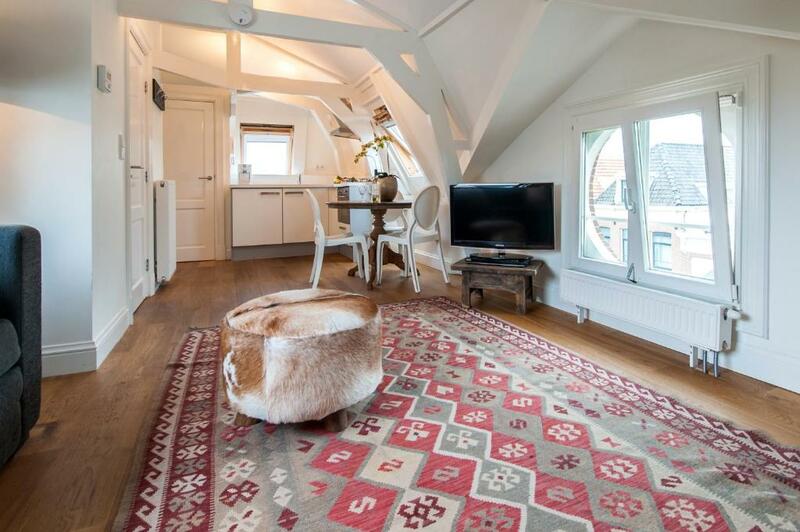 The property is located close to the Vondelpark, the largest city park in Amsterdam. The English-style park is ideal for a relaxing stroll or enjoying the scenery from one of the lovely terraces. On a summer day a great place to follow all the action is the upper terrace of Café Vertigo. The Vondelpark open air theatre features shows from June until August, especially in the weekends. All performances have free entrance. Amsterdam's cultural highlights, the Rijksmuseum and the Van Gogh museum, are close by as well as the fancy PC Hooftstraat, the trendy shopping street with all major fashion brands. The eclectic nightlife of Leidseplein is just 5 minutes away. The tram stops on the corner of the street. Area Info – This neighborhood is a great choice for travelers interested in museums, culture and walking – Check location Great location - show map Guests loved walking around the neighborhood! House Rules Vondelpark Apartment Suites takes special requests – add in the next step! Note that, due to fire safety regulations, the city of Amsterdam limits bookings to a maximum of 4 people per apartment. Vondelpark Apartment Suites accepts these cards and reserves the right to temporarily hold an amount prior to arrival. Please note that credit card details are only required to secure your reservation. After reservation, the property will send instructions for payment via a separate e-mail address. After payment has been received, the property sends another e-mail with the property’s details, such as the exact address and key-collection instructions. Please note that the accommodations has no reception. You can check-in and collect your keys at the Short Stay Group check-in desk at Schiphol Airport or at their office in Amsterdam center at Herengracht 451. Please note that if you settle the pre-payment with your credit card, the credit card holder needs to be present at check in to sign for this payment. Please note that guests are asked to refrain from excessive noise after 22:00. 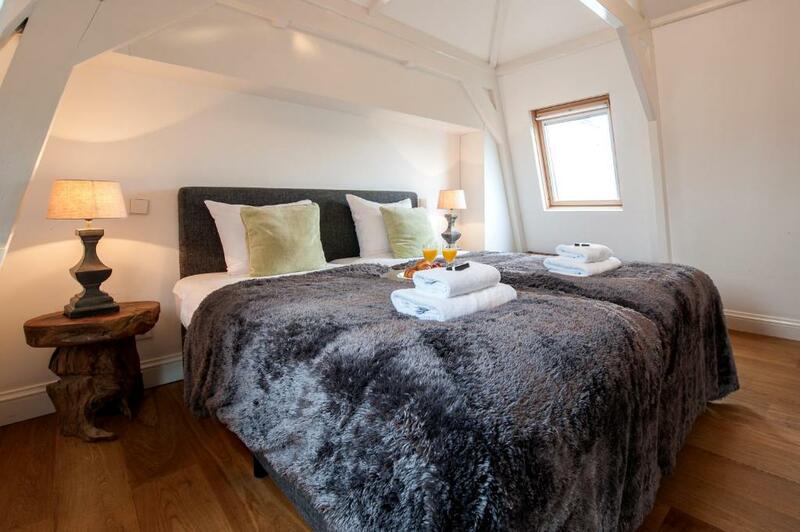 Please note that an extra bed (baby cot) is subject to availability and can be placed in the room at a surcharge upon request with the property. Please include your request in the ‘special requests’ box upon reservation. Please note that some apartment are only accessible via steep stairs and that elevator access is limited as the property is located in a historic building. Please contact the property for requests about accessibility. Please note that cash is not accepted at this property. The cleanliness of the apartment was poor. For e.g. the beds were changed upon arrival but yet there were still hairs and even a dead bug in the bed. The bathroom was also cleaned but there were things like hair in the shower which just shouldn't be there. The stairway to the apartment leaves a lot to be desired. The location was good and easily accessible. Friendly and helpful staff at the office. The staff is terrible! Run! before our arrivel they send me an e-mail to pay the city taxes. I asked if i could pay when we arrive but they sad they only give us the codes for the nightsafe if we pay the city taxes (we had already payed the apartments long ago) On the arrival they gave us 2 codes for the night safe, one of them didnt work! so i calld the apartment manager and he send some guy there. and the code wasnt working. The solution was to go to the apartment and wait for that guy to go there and give us the keys. So we went! we had to wait 2h for the guy to open the door! in the 2h waiting i callde 2 times! the only thing the manager said, very rudly, was: be patient! wat is your problem? you have to wait! After the 2h waiting the guy comes with the keys but he didnt give us the keys because thouse were the only keys! so we were stucked at the apartement we dident enjoy that night and we had to waint to 1:30 in the morning. The staff didnt solve nothing and they were very rude! The apartment if very far from the center; the street is dark; beds are very bad ! It was my 4th time in amsterdam i had never been so disapointed! The apartment was definitely not cleaned properly when we arrived - carpet had not been hoovered, there were hairs around the toilet, toothpaste on the sink, footprints on the wooden floor etc. Also we checked in after check in time, and the bed sheets had not arrived so a guy came to deliver these. The window was broken so it wouldn't close and was basically coming off the hinge so quite dangerous however when contacted, they sent a window technician ASAP. The sofa bed was quite noisy, but for a short stay it's not a big issue. A greater issue was that guests staying in the apartments above and below did not adhere to the quiet after 10:00 PM requirement or the non-smoking requirement. However, this didn't have a massive impact on our overall stay. Also, this apartment is not suitable for people with large pieces of luggage. Luckily, we only had hand luggage, but it would be extremely difficult to get larger cases to the upstairs apartments due to the narrow, winding stairs and the shallow steps. Literally only the stairwell but that’s why ditch stairs are like in my experience. I’m 5’10” not 6’6” like Dutch seem to be! It was lovely. Light, open, clean, modern. The colour grey!! Too much of it was used in the 3 rooms. The apartment was a little dusty and the stair carpets could have been a little cleaner. A towel rail in the toilet would be handy. Advertised as having toaster and dishwasher and there were neither. Also had tram road works outside overnight and double glazing not efficient. Very handy for tram stops and lovely big windows.